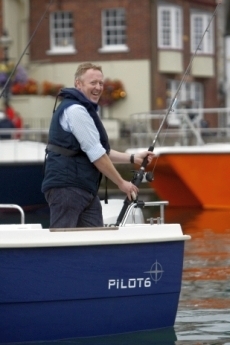 Westport Marine was founded by Charles Broughton in 2005 and encompasses Westport Rowing, Westport Design & Westport Marine. 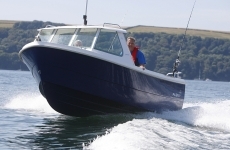 Having practiced naval architecture since 1991 Charles took the opportunity to combine his passion for boat building with that of design and started manufacturing boats for the Family and Sea Angling boat market. Charles also continues to undertake design work under Westport Design and regularly works on a wide range of marine design projects. 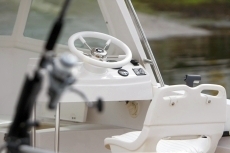 In recent years he has specialised in the design of amphibious craft for Sealander Marine International Ltd. These types of vessels are technically demanding and Charles remains one of the most experienced amphibious designer engineers in Europe. The Westport Jolly Boat is proving ideal for those wanting to combine exercise and being on the water as well for the experienced rowers wishing to explore new waters. The design is already complete for the double version and with enquiries already coming in the first double should not be far away. Since graduating from Southampton Institute in 1991 Charles has worked as a naval architect predominantly in the field of design but also project managing the build of various vessels in steel, aluminium and FRP ranging from RIBs, oil-recovery vessels, salvage & surveying catamarans, jack-up platforms, high speed patrol vessels, crew boats, passenger vessels, super-yachts and FRP production leisure craft. 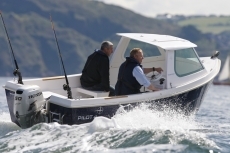 In recent years he has specialised in the design of amphibious craft for Sealander Marine International Ltd. Charles also designs, builds and markets his own range of family angling boats and maintains a high reputation within this market. Whilst growing up on the Norfolk Broads Charles developed his passion for boating, which quickly turned from messing around on the water to repairing and building boats. This lead to leaving home to study boat building at the internationally renowned technical college in Falmouth followed by further study and graduation from the Yacht & Small Craft Design course at Southampton. This early enjoyment of being in a workshop and building boats has remained with Charles throughout his career where he finally managed to combine design and build with the establishment of Westport Marine. 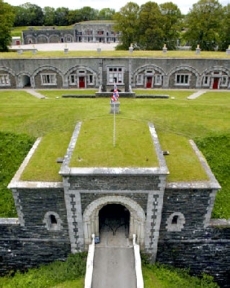 Since graduating Charles has travelled with his career, working in Switzerland, India, North Africa, Spain and throughout the South of England where he finally settled in Plymouth with his wife and young sons.